Get dirty at the West Brunswick Community Garden (Sun 27th Jan) - pass it on! Let's face it, we may not tell anyone but lot's of us are just itching to get along to a community garden to do a bit of digging over the Australia Day weekend. If this sounds like you, don't be embarrassed, embrace it. Get your pen out (or get on your phone) and mark your calendar - the next West Brunswick Community Garden Garden & Gather is on Sunday 27th January from 9am. Don't worry if you can't get out of bed for 9am, we know that's a big ask, just turn up when you can. At the Big Dig in November, we managed to get 27 people down there. We got heaps done and made a huge step forward in building our new garden. We want to top that in January. Now, the best part! At 1pm we'll all stop for a celebration lunch in appreciation of everyone's hard work over the last few months. It'll be a great chance to come along and meet everyone if you haven't been down yet. 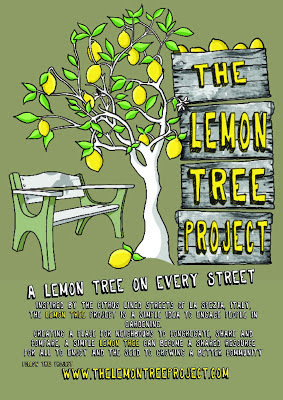 If you can't make the working bee, come for lunch and have a look at what we've been up to. If you've been following our exploits from afar, come and say hello, we're a pretty friendly bunch (but not in a clingy way). Bring your friends and family, kids welcome. The more the merrier! Gloves are a super hero suit for your hands, they help you do things you didn't think were possible, bring some along. More info: email grow.eat.moreland@gmail.com or check our website. Food safety, availability and affordability are now global issues. Rapid urbanisation has increased demand for food in cities, where most people now live. Growing demand for food has been met by growth in industrial agriculture. Ultimately, this has led to a disconnection between urban residents and where their food comes from. 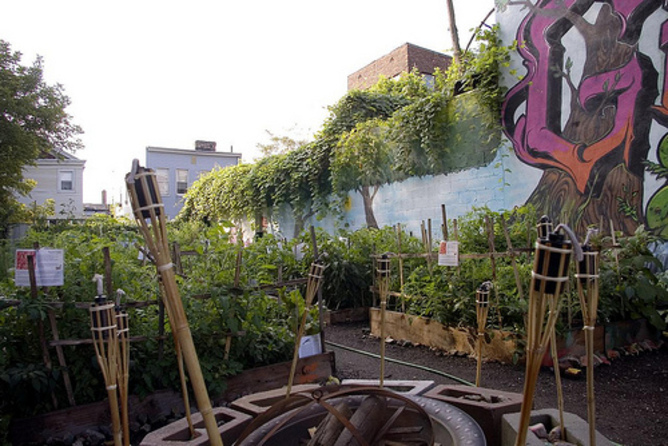 Community gardens are becoming a viable urban source of food. Community gardens have more recently become a popular source of urban food, and many researchers, policy-makers and activists believe that community gardens are now part of an alternative food system. Although much of the academic literature suggests that community gardens are an effective and environmentally sound way of producing food in cities, this claim has not been substantiated. Very little is known about how people actually garden in community gardens. The term “community garden” has been widely used to refer to any type of garden, independent of gardening practices or the philosophy informing garden development, thus putting all the gardens in the same basket. A recent study identified sixty-five academic papers describing original research on community gardens, mostly documenting the social benefits of gardens, such as health promotion and education, community building and resilience. But what has so far been neglected by researchers is the environmental benefits of community gardens. These include the effective management of soil nutrients, sunlight, rainfall and biological resources, factors that are essential for their long-term viability. How community gardeners add nutrients to the soil (fertilisers vs. compost), control pests (pesticides vs. companion planting/crop rotation) and use existing resources (tap water vs. collecting rain water in tanks) are important aspects of urban ecology that warrant closer scrutiny. 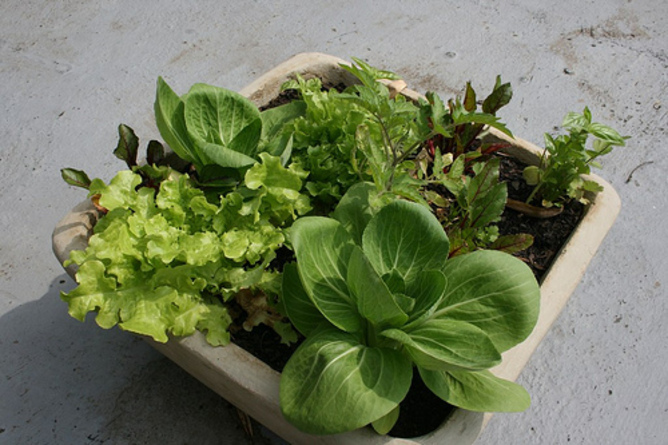 This is because different gardening practises can be both environmentally beneficial (composting or locally sourcing plants and materials), or environmentally harmful (through use of synthetic chemical pesticides or limited plant diversity). Our study examined 50 community gardens in two of the most rapidly urbanising cities in Australia – Brisbane and the Gold Coast, South East Queensland. South East Queensland is Australia’s fastest growing metropolitan region, with its urban population expected to grow from 2.8 million in 2006, to 4.4 million people by 2031. The main purpose of the study was to obtain a clearer picture of how the general characteristics of community gardens might shape long-term garden viability, and how garden managers' motivations affect gardening practises, with a view to informing policy on future community garden development. Garden managers were surveyed about who runs the gardens, their motivations, the cultural background of members, their gardening philosophy, their facilities, and their gardening practices (such as soil improvement, water and energy usage). The gardens examined were either run by schools or by a range of not-for-profit organisations. Garden managers’ primary motivations for establishing these gardens were education, community building and sustainability. State and local government provided land and other resource for nearly all gardens, with gardens collectively occupying 57,000 square metres of land. Gardens in general, but school gardens in particular, were surprisingly culturally diverse, with members from many national backgrounds. Almost half of the garden managers reported Permaculture as the driving gardening philosophy. Most did not use any chemicals, but seven gardens reported using synthetic fertilisers and pesticides. The ones that didn’t use chemicals used alternative strategies for nutrient soil improvement and pest control such as homemade compost, mushroom compost, blood and bone, worm castings, companion planting, planting in season and climate, and crop rotation. Only half of these gardens, mostly the Permaculture ones, actually recognised that it was important to maintain healthy soils in order to grow healthy vegetables. Permaculture gardens used lower-impact gardening practises than non-permaculture gardens. We found that the gardens are in fact very different, and that many are not at all environmentally sound. Ultimately, the long-term viability of urban food systems is dependent not only upon social factors such as motivations and governance, but also upon environmental and ecological factors, such as the type of gardening practises used and the types of plants grown in these gardens. Governments should be aware of these differences in gardening practises, because when it comes to community gardens, one size doesn’t fit all. Promoting community gardening as a health intervention and and providing security of tenure by allocating land for gardens is an important function of government. But policy-makers must also become more attuned to the environmental impacts of gardening practises. They should promote Permaculture community gardens for their environmental, as well as social benefits. Permaculture integrates landscapes, ecological processes and people, it has enormous potential to provide sustainable food. Applying these principles and techniques can enhance human well-being and promote ecological resilience. A big advantage is that Permaculture is a well-established design system that is easy to follow. Permaculture community gardens can green cities, feed people and foster healthy ecosystems. So don’t be a couch potato, put on your gloves, grab a hat and head to your nearest Permaculture community garden for a dose of happiness, good health and delicious veggies. Daniela Guitart is affiliated with the National Climate Change Adaptation Research Facility at Griffith University. Catherine Pickering receives funding from the National Climate Change Adaptation Research Facility for her research on climate change in the Australian Alps, and from the Queensland Government for part of her research on social attitudes to protected areas. Well apparently Democritus said 'soul' but I reckon that quote works just as well if you swap 'soul' for 'soil' don't you? Want to learn how to make healthy productive dirt? Come to a free workshop being held at the West Brunswick Community Garden in Dunstan Reserve and gain the practical skills you need to get your garden up and growing. Check out the community garden while you're there and see how it's progressing. Presented by by qualified horticulturalists from Sustainable Gardening Australia and provided courtesy of Moreland City Council. Workshops are open to all residents and please book if you can. Call Council’s Operation Centre on 8311 4300 to reserve your place. See this flyer for more information. Countdown...Only 13 days til Hot Diggity The Third! You: drink Thunderroad Beer, cider & wine; eat Dos Diablos fabulous tacos; tap your feet to some of Melbourne's finest bands; wander through local secondhand and craft markets; have a sit in the sunshine on our garden lawn amongst this summer's finest veggie crops with fantastic company...Whoa! While We: become ecstatically happy that we can share this day with you and buy plenty of materials to keep our garden functioning. Sounds pretty good to me...I'm sure those that made it to events 1 and 2 will agree it's a beautiful day not to be missed! Want to know more about 'we'? Hope to see y'all there with your smiley faces!